Im considering buying a 300 blk AR but I dont know anything about them.Would thosewho know help me out with some info as to how they mix with a standard AR as far as magazines and upers and lowers combining ect...Help please.Recomendations are appreciated.
" (23) therefore the LORD God sent him out of the garden of Eden to till the ground from which he was taken. (24) So He drove out the man; and He placed cherubim at the east of the garden of Eden, and a flaming sword which turned every way, to guard the way to the tree of life." I built one a couple of years ago. Ho-Hum groups, so don't shoot it. For light bullets like the 110 V-Max (which I shot a deer with) standard mags work. For the 220 grain subsonic stuff you need a different mag.....or so I'm told. I don't shoot subs in mine. It is really quiet with a can. The only thing you gotta do is just swap a barrel on any upper or a swap out a complete upper and go. By design 300 BLK is supposed to take the same bolt, buffer, and magazine as 5.56. Some guys run into problems with mags, but I think that comes from handloading subs and not maintaining COAL, but perhaps some mags/mag followers are fussy. Hasn’t been my experience, though. Uppers should be built with a pistol length gas system if you ever plan to shoot subsonic, or you will have a single shot. Not sure what is the longest acceptable gas length with supers, but I’d stick with the original design and avoid creating conflict where none currently exists. Good luck, I think you’ll find it’s a useful, versatile, and capable chambering if you don’t go trying to reinvent the wheel. Mine is no target rifle, but for a $89. Barrel I cant complain much. It also seems to shoot anything I stuff in to the same exact windage zero with just a difference in elevation, so it makes switching loading around very easy. I only do supersonic and mostly shoot cast bullets, so its about as cheap as shooting a 9mm, but way more versatile and fun.. I have 2. One I shoot suppressed with 220 grains and one I shoot supersonic with 147 grains . All of the components are the same as a 5.56 with the exception of the barrel. The norm is to use pistol length uppers as opposed to carbine or rifle length as all of the gases are consumed with 8,5-10" barrels as I understand it. Type in .300 AAC Kaboom and you will understand why segregating your ammo is critical. I've never had it happen because I keep everything separate, magazines are marked either sub or super and the uppers are engraved .300 AAC. Firing the 556 in a .300 upper is not nearly as spectacular as firing a .300 in a 5.56 upper. It's hard to squeeze that .30 caliber thru a .22 caliber hole and the results of trying are like holding a grenade next to your face. This guy had a great idea of marking rifle and mags. They are basically thick industrial rubber bands marked appropriately. I swung down the trigger guard and put the red ones around the magwell and use either yellow or red to mark magazines as subs or supers. 300 BO is a lot of fun. You can do a lot with it and after a few years I am still learning. I find it plenty accurate but of course it's more a short range round, even though there are folks like a friend of mine who shoots them long distance out to 600-700 yards. Really to get the most out of it and not spend a fortune you need to reload for it. Factory ammo has come down in price but is still pricey. One of my favorite loadings is a 147 or 150 grain FMJ for target plinking. I'm a spendthrift buy only on sale buy in bulk reloader so I hoover up good deals in bulk when I can get them. Right now reloading a 147g FMJ is running me just over 20 cents a round. Fun round whose smaller case diameter seems more practical to me than 7.62 X 39 AR15 bolt group and magazine systems, although the 300 AAC is slightly less powerful than the Soviet round. I've hunted with it a couple of times but haven't had a deer walk out when I had it in hand. Last edited by Impala_Guy; November 21, 2017 at 10:45.
thought about getting one, but went with x39, it will go subsonic with 208gr and 10 gr of 2400, plus it shoots cheaper ammo. This was my thought as well. I built a 7.62x 39 pistol. It runs perfect with the cheapest steel case ammo. With a 10" barrel it does about 2350 fps with 123 gr so very little loss of velocity from a rifle. Only thing is you need a 7.62x39 bolt and mags. C products makes great mags. The blackout is somewhat of an enigma. With supersonic bullets, they shoot about like an AK47 (7.62x39)'ish ballistics. With subsonics and a suppressor, they shoot about like a 45acp'ish ballistics. These really were tasked with too much expectations. Kind of a jack of all trades, master of none mindset. Many people will need to use an adjustable gas block to use both supers and subs from the same gun. I was rather disappointed in how it sounded suppressed at first. Even with commercial subsonic ammo and a good suppressor sounded more like someone banging two garbage can lids together. It took me quite a while to work up a load that was both quiet and cycled flawlessly and that's how I keep it now. If I want something that shoots about like an SKS, I'll use an SKS and save a ton of money on ammo. I finally made a dedicated integrally suppressed upper for it and after all is said and done, I love it. Just don't expect the blackout to live up to all the hype straight out of the box. That's why I opened up my reply how I did. The blackout is somewhat of an enigma. It has a lot of potential. But depending on your expectations and determination, may or may not be what you want to deal with. Might as well build or buy an SBR or pistol. You get 95% of the possible velocity by 10.5" of barrel, so unless you have to build a rifle in your area it's more of a wasted weight to carry around. My 10.5' with a Bergara barrel is managing less than 2moa, which for the effective range of the round is plenty good enough. You'll only want to hunt to maybe 300yds with one, so 2moa at 300yds works out to about a 6" circle. Considering mine was built with swine of the 2 and 4 legged variety in mind 2moa was plenty good. Heck I haven't even worked up a real accurate load yet. Maybe someday, but as long as the pigs keep dropping I'll keep things the way they are. FYI I've built an a SanTan ambi receiver, running an Adams Arms lightened piston kit, with an RDS and a swing-away 6x. Since it's legally a pistol I just use a crutch foot on the back of my buffer tube. Recoil is light and that works just fine. Makes for a really nice compact (25") , light (~6bls) package that hits with authority inside 200yds. One last thing... if you reload the BO brass is easily converted from 5.56/.223. What I do is inspect my 5.56 brass for any neck splitting or damage, and if it is it gets converted. Waste not want not. I have one and never shoot it - you can kill a deer and some kill pigs but my 308 is such a better choice and the accuracy was never impressive. Only 300 BO I would want is a short barrel SIG MCX Rattler. Am researching best way to build a knock off but otherwise it really only excells as a heavy bullet subsonic cartridge for suppressors. Friend hog hunts with a suppressed bolt action in 300 BO with 220 grain Barnes bullet but don't know powder he uses. It is set up with a I.R. day/night vision digital scope and is almost movie quiet. If have a specific use for it then jump in. I built two, neither did what wanted and sold barrels before had 100 rounds down bore of each. If I can't knock off a Rattler or pony up $2,000 bucks won't have another 300 as too many other options that meet my particular needs. Didn't have any luck with 147-150g FMJs and H110. H110 likes lighter bullets. Lil Gun works a lot better for those, at least it did for me. Barnes tac-TX 110g are a friggen beast.....120s are OK but the 110 opens in balistic gel like a flower, 4 petals huge...bad medicine up to 250-300 yards out of a 8.3 in barrel. Runs like a raped ape out of spikes full auto. Lancer or pmags. Interceptor for the best fragible on the market.. I only use aluminum GI mags for 5.56, .300 Blackout only goes in Lancer mags, no exceptions ! Are you rich or have a lot of time to reload? If you have a suppressor you meet half the argument points. And why I don't have a 300 BO currently. Have a pair of suppressed 45 acps, pair of suppressed 308's with one that cycles subs easily with quick gas change and a 6.8 fast twist barrel that is suppressed and lobs 220 grain subs like a champ. Everything the 300 BO does have something else that does it better. But if the SIG Rattler was not over $2k it would be in my briefcase right now. With no buffer system it's freaking tiny and it's piston drive is 100% reliable. An enigma in itself, it's the gun that the 300 BO was designed to run in. Know one freak that carries a SIG Rattler concealed with strap over shoulder and can have it out from under jacket and in action in about two seconds without opening stock, under four seconds if fools with the stock and then he is deadly out to 150 yards. I want one almost bad enough to pay the entry fee. The whole 300 BO thing only really caught fire about 5 years ago so I think people are still learning how to best optimize it. I recently bought some of the CFE BLK powder so we'll see how that goes. Shot a SBR .300 Blackout last weekend at 50 yds with an Eotech. Buddy had 147 gr Sierras and was working up a load. With Eotech we were keeping about a 4" group at 50 yds. Recoil is interesting, to me it seems to have a longer duration than a 5.56 and you can tell you are shooting a much heavier bullet, but it's still comfortable to shoot. "The safest place to be is behind Mississippi when he fires that thing"
Something's wrong if you're getting 4" groups at 50yds. My dedicated subsonic will get 1" groups at 50yds and my supersonic guns get less than 1" at 100yds. I find the 147g to 150g load very pleasant to shoot and a few novice shooters I have introduced to shooting seem to like it better than the louder POW of 5.56. Something's wrong if you're getting 4" groups at 50yds. Agreed,,even my $69. Anderson blem barrel will hold to about an inch at 50yds with most any type ammo.. I really dont understand the common thoughts of the BO being expensive to feed...? 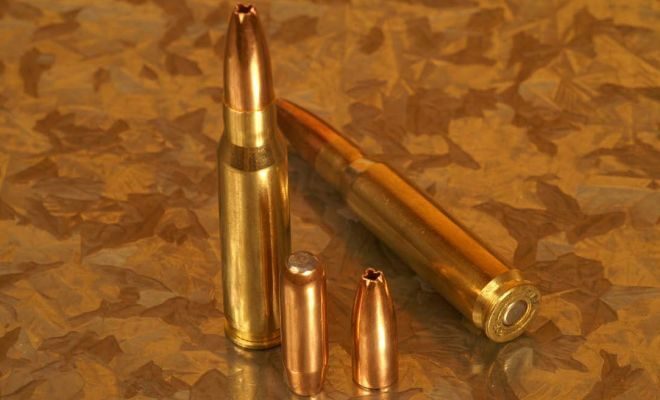 Maybe if your feeding it strictly factory fodder or even reloads using top shelf Barnes bullets, but their are tons of other less expensive choices, to say nothing of its about the perfect rifle caliber for cast bullets. I got started in the 300 BO craze back when it was the Whisper™. Best I could do with 147-150 gr bullets was 1900 fps out of a 16" barrel. The 110 and 125 bullets got bumped up to around 2100-2200 fps before exhibiting signs of pressure. With both loads, blowing primers in the USGI brass was common. Never did see the need for that cartridge that couldn't be done with a more efficient one available at the time, especially one that would work 100% of the time with hitches in its giddyup. Still feel that way today and still do not have one in my stable. I am still working on mine and have some cans ordered. What has my interest is the Remington 700 I bought a while back. Once I get to work on this, I am anxious to see what I can do sub-sonic wise when functionality of a semi-auto gas system is not an issue. Ideally, I can work up a subsonic load that works well in both the AR and Remmy 700. Having shot a suppressed Rem 700 in 308 with subsonic ammo, I was pretty impressed how quite it all is. Some time down the road I'd definitely look at the 300 BO version with the threaded barrel. I think it would be perfect for pest eradication within 50-100 yards. 300 Win Mag, 308 and 300 BO loaded subsonic are the same round just more empty case capacity to deal with. Have so many 308 factory and handloads that run perfectly subsonic I see no need for a 300 BO plus if need to juice it up for some real power the 308 gives me huge headroom. My short barrel FAL is running fine subsonic with correct gas plug and 240 grain Woodleigh or SMK's. 30 caliber at a set velocity is same thing no matter parent case. Right now it's adjusted and running Tubbs Absolute 2 Hole 350 grain dual projectile ammo. At 350 grains subsonic still hits like a truck. 300 Blackout and 300 whisper are both based on the Remington .221 brass case expanded from .224 to .308. According to Hornady they are interchangeable with one another. Yes, but most all brass in use today is made from once fired LC 5.56. I believe they only say the loading data is interchangeable , not the cartridges.. Heavier the better, have to adjust gas if not use a plug with port opened up. Tubbs Absolute 2 Hole with two projectiles totalling 350 grains in weight cycles super well due so much mass of projectiles. The front projectile has a hollow base in which nose of second nests into. Every squeeze of trigger puts two rounds on target and usually hit within an inch of each other out to 75 yards and two inches of each other out to 125 yards. Also have some 250 grain subsonic frangibles from another specialty vendor that cycle o.k. How would you like to get thumped with this??? Tubbs makes it in both subsonic and supersonic now due to popularity of the subsonic version. Be sure which your buying but it's what is in my suppressed 16" short gas FAL and while bigger and bulkier than a 300 BO it's super quiet right up till bullets hit target (big slap like baseball bat hitting watermelon) and cycles better than any other off the shelf subs have tried.